The Wankdorfstadion was for over 75 years the home of BSC Young Boys, the site of the 1954 World Cup final, and host to several European Cup finals. 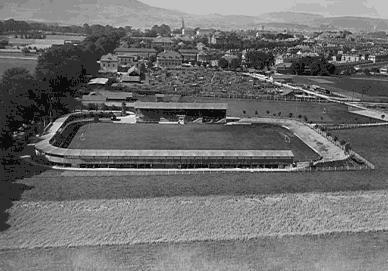 Since the beginning of the 20th century Young Boys had played at a site at the Spitalackerplatz, but when the ground became too small for the growing crowds, the club leased a plot of land and started the construction of the Wankdorfstadion. The stadium officially opened on the 18th of October 1925. It could hold about 22,000 fans at that time, of which 1,200 seated. The stadium got quickly expanded in the 1930s resulting in a capacity of 42,000. However, by the late 1940s the stadium had gotten too small again, and with the perspective of the 1954 World Cup it was decided to almost completely rebuild the stadium. 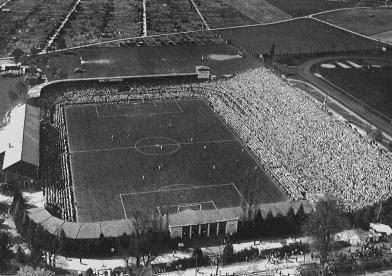 The new stadium reopened early 1954 with a friendly match between Young Boys and the Hungary national team (0-9). It could pack a total of 64,000 fans, of which 8,000 seated. Most characteristic feature of the stadium were its two corner towers. During the 1954 World Cup the Wankfordstadion hosted three group matches, the quarter-final between Hungary and Brazil (4-2), and the final between West Germany and Hungary (3-2). This final got later referred to as “the miracle of Bern” due to the surprising defeat of favourites Hungary. 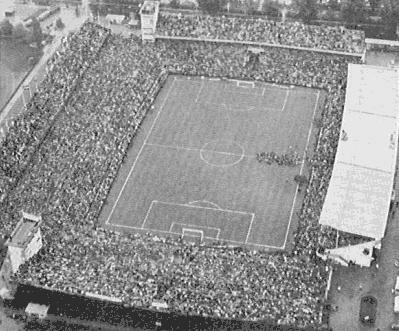 Five years later, in 1961, the Wankdorfstadion hosted the European Cup final between Benfica and Barcelona (3-2). In the following decades the stadium received several minor renovations, but by the 1980s the stadium had also significantly aged. Still it got selected to host the 1989 Cup Winners’ Cup final that was contested between Barcelona and Sampdoria (2-0). In the 1980s and 1990s several reconstruction projects were suggested, but all failed to get support. This changed in 1997 when the population of Bern voted in favour of a zoning change, which paved the way for the construction of a new stadium at the same site. 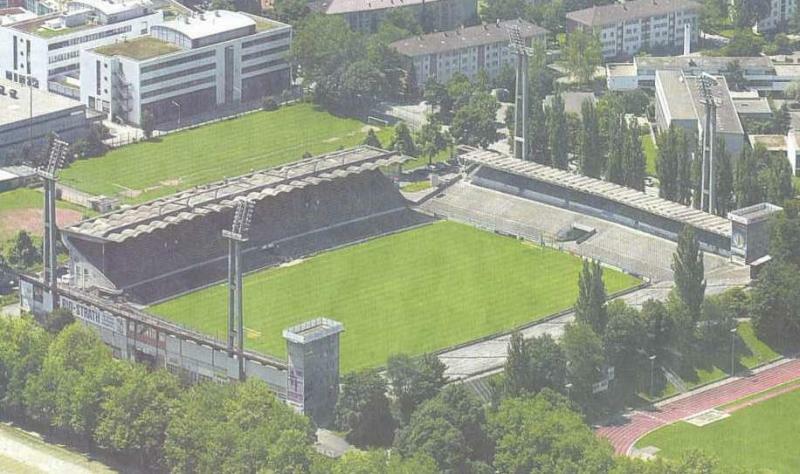 The last game at the old Wankdorfstadion was played on the 7th of July 2001 between Young Boys and Lugano (1-1). In its final years the stadium had a capacity of 28,000. 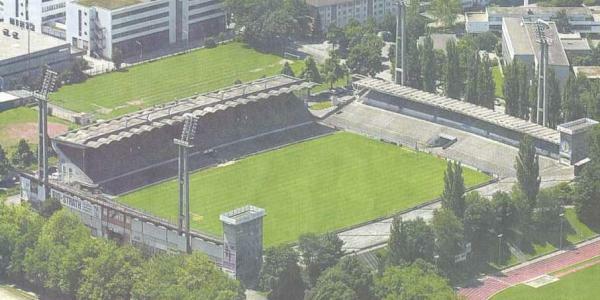 Soon after the stadium got demolished and construction started of the new Stade de Suisse, which opened in 2005.